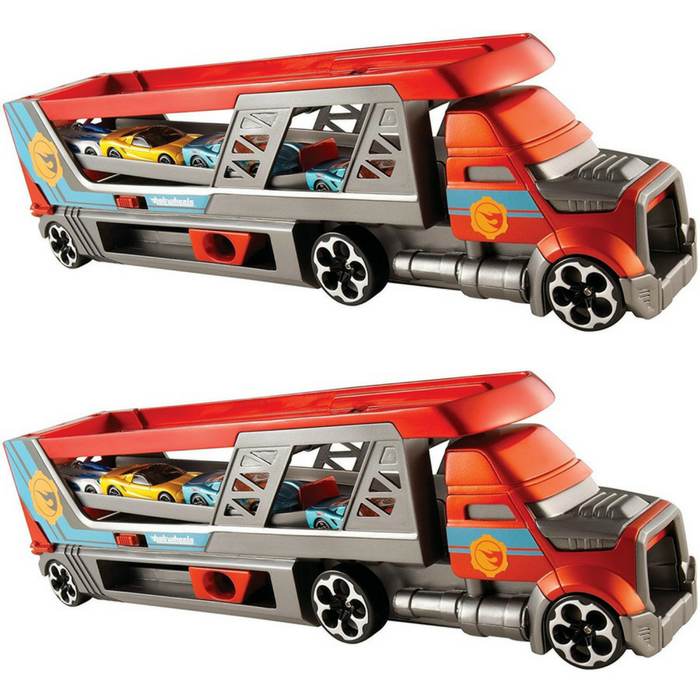 Hot Wheels City Blastin' Rig Just $22.49! Down From $49! You are here: Home / Great Deals / Amazon Deals / Hot Wheels City Blastin’ Rig Just $22.49! Down From $49! Hot Wheels City Blastin’ Rig Just $22.49! Down From $49! Head over to Amazon to get this Hot Wheels City Blastin’ Rig for just $22.49 down from $48.98 PLUS FREE shipping with Amazon Prime or for orders over $25! Haul ’em and Race ’em! Hit the streets of Hot Wheels City! Now kids can haul their cars around and send them flying on a high-speed race with this cool transporter that includes a built-in, kid-powered launcher. With room for up to 14 Hot Wheels vehicles, boys can take their favorite Hot Wheels cars wherever they go! Includes three Hot Wheels vehicles so the fun starts straight out of the box. A great gift idea any boy will love! Haul ’em and Race ’em! With room for up to 14 Hot Wheels vehicles, take their favorite Hot Wheels cars wherever you go!